A £21m medical school at University of Lincoln can now be built. The 2018 plans were approved by city councillors on March 20. 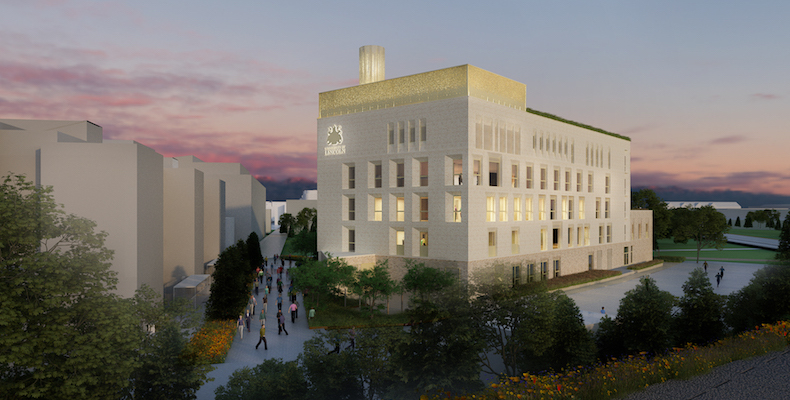 Devised in partnership with the University of Nottingham, the new school has been established in response to government calls for more medical school places in England. The 2017 government announcement followed a three-month consultation and a competitive bidding process for the allocation of an extra 1,000 medical school places. The universities of Lincoln and Nottingham have secured funding for an initial 80 places in September 2019. Once at full capacity, the school will provide training to 400 undergraduates. University of Nottingham Lincoln Medical School will be Lincolnshire’s first medical school. The five-storey building will be sited on the southern edge of Brayford Pool Campus and comprises two 120-seat lecture theatres, seminar and tutorial spaces, a library, laboratories, a clinical skills suite and an anatomy suite.